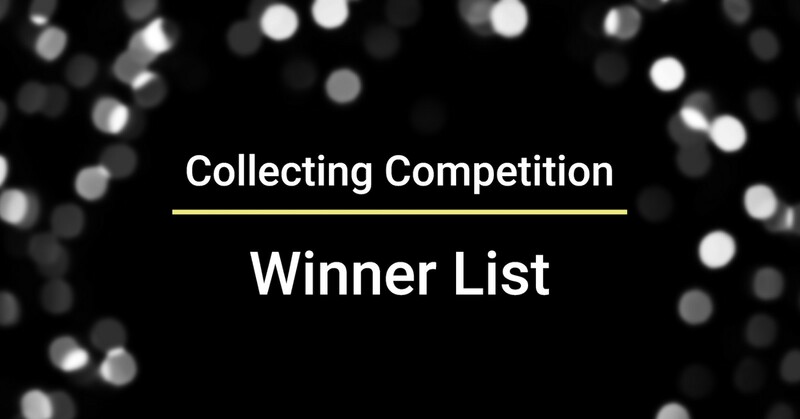 Congratulations to the below users for winning the collecting competition! Thank you for your support on MachiX.com ! We’ve sent a congratulation mail to your Machi X signup e-mail address and rewards will be issued within 1 week from today. Log in to Machi X to claim your prize! Please email to support@machix.com if you have any problems. We are giving out a total of 1,200 USDT(ERC20) in prizes to our fans on Machi X worldwide! Come and claim your prize! Collecting Competition: 1,000 USDT(ERC20) to Win! Determined by top 5 highest NUMBER of TOTAL MUSIC COPYRIGHT TOKENS held on Machi X from April 11th 12:00 PM TST (UTC+8) till April 18th 11:50 AM TST (UTC+8) will split a total of 1,000 USDT(ERC20). Lucky draw: 200 USDT(ERC20) to Win! Get at least five MUSIC COPYRIGHT TOKENS within April 11th 12:00 PM TST (UTC+8) to April 18th 11:50 AM TST (UTC+8) and get a draw to win a total of 200 USDT(ERC20). 20 USDT(ERC20) per winner, 10 winners in total. Winners will be announced on April 19th 14:00 TST (UTC+8) via Machi X signup e-mail and through official social media channels(Facebook, Twitter), rewards will be issued within 1 week after the competition ends. You can log in to Machi X and see your prize.